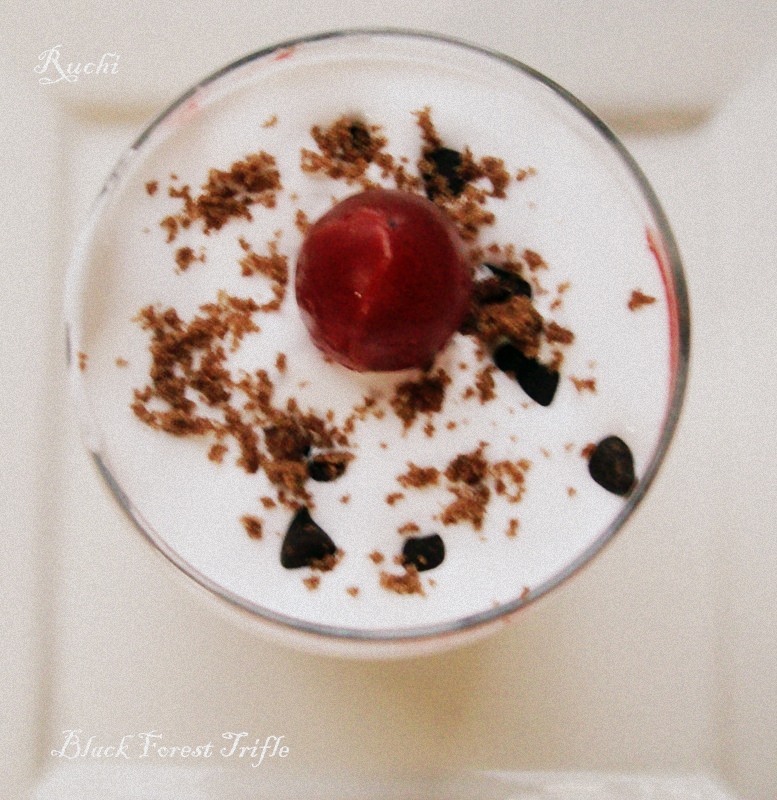 The Black Forest Trifle has the same component as Black Forest Cake. Homemade black forest trifle is a perfect for celebration... 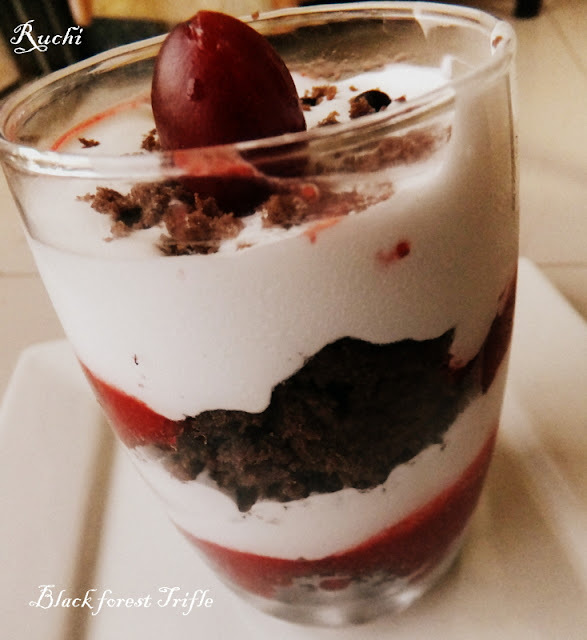 It is a quick dessert if you have everything in hand...The mounds of white, fluffy whipped cream, contrasted with shards of brown chocolate and bright red cherries all make a black forest cake a dreamy sight. 1. Cut the chocolate cake make into small pieces /cut with a cookie cutter according to base shape of your glass. 2. Whip the cream with sugar and vanilla extract till stiff peaks form. 3. Keep the cake pieces at the bottom of your glass. 5. 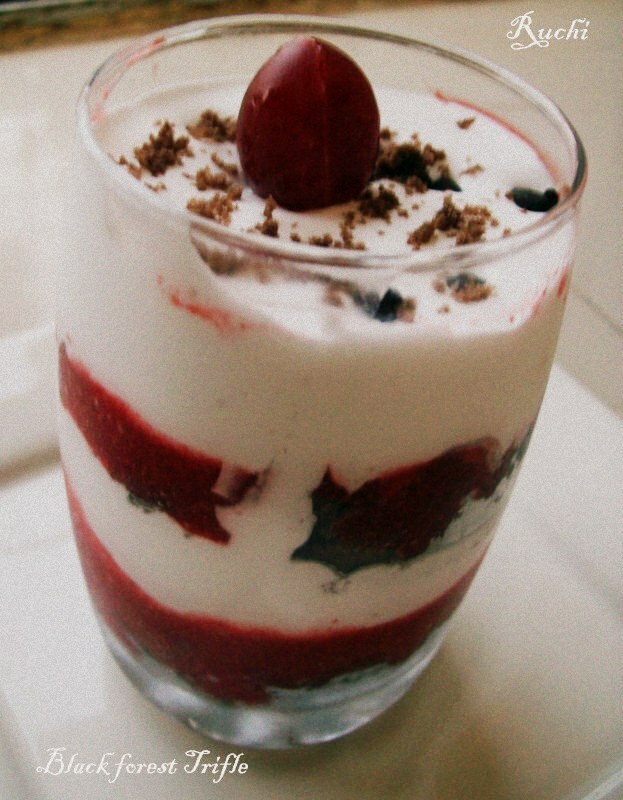 Place a large dollop of the whipped cream on top of the cherries. 6. Refrigerate for min 3 to 4 hours. 7. Before serving Garnish with Chocolate shavings or chocolate chips on top and decorate with cherry. Seriously i want that droolworthy trifle, tempting.